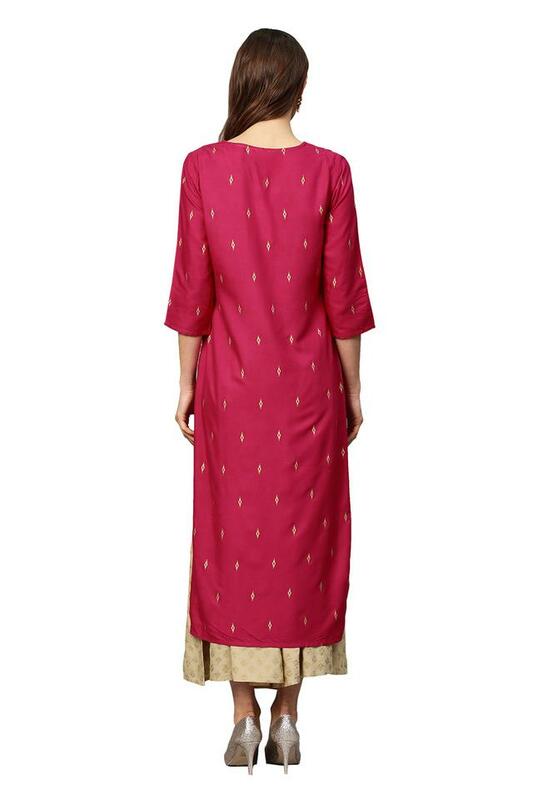 Juniper brings this kurta palazzo set to make you look like a fashion diva. 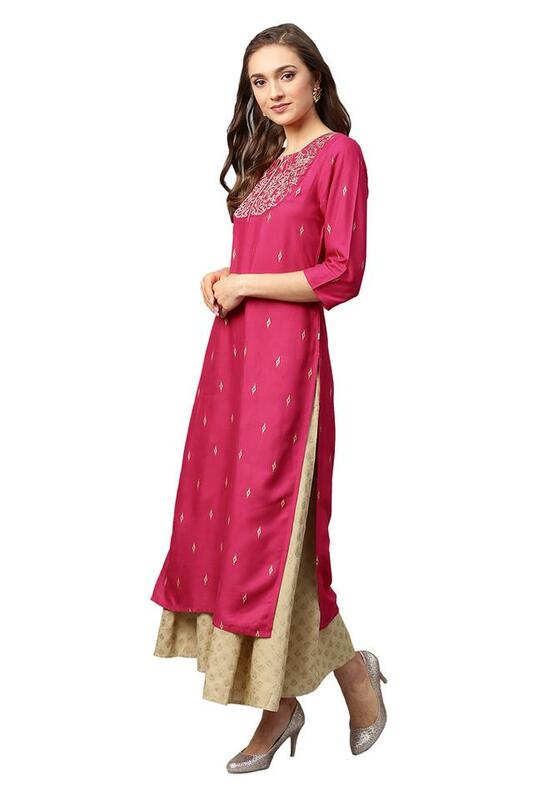 The kurta comes with three quarter sleeves and notched collar along with embroidered pattern that lend it a trendy look while the pair of contrasting palazzos makes an excellent contrast. 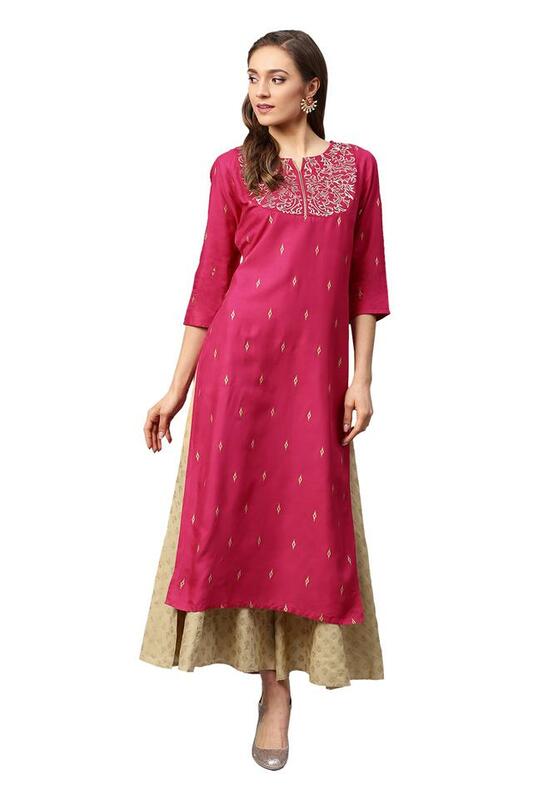 This set has been made from a rayon fabric that makes it comfortable to wear for long hours. 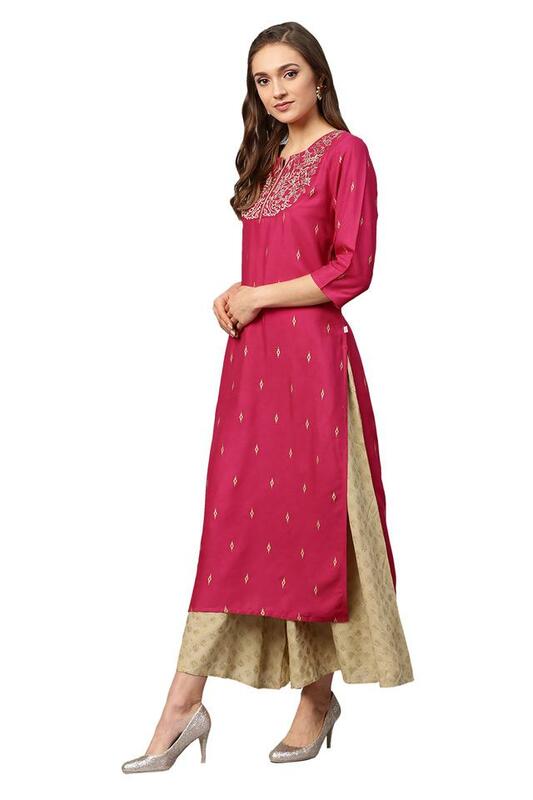 Bring out the style icon in you by wearing this kurta palazzo set. 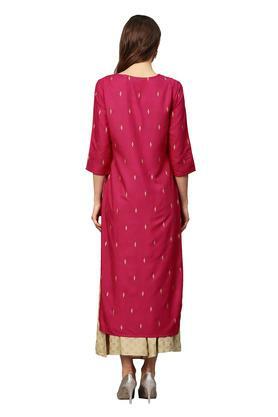 You can team it with a pair of heeled sandals to look beautiful for any casual occasion.